1- Select your size and cover. Selecting your size depends on how small or large you need to organize your calendar and events, how large you need your to-do lists, checking and/or savings account records, meal planning, etc. Also, do you want to carry your planner in your purse or tote? Or carry it separately? We offer B6 which is 5 x 7 inches and A6 which is 4 x 5.75 inches. Selecting your cover will be like selecting a new purse. In the Spring, you may want a light and fun whimsical color to match the time of year. And of course, in the Fall, something golden or rustic. Perhaps you have a favorite color and won’t want to change your cover up that much. 4-6 inserts are perfect, and we always recommend to start with at least a dated monthly. From there, do you need more home or business inserts? This is where talking with a Brand Ambassador will really help you. They can help you get the inserts you need to plan effectively. You can always add as you go along! Plastic pockets are great for storing your receipts! You can even turn your planner into a wallet and use the plastic credit card sleeves. The plastic pockets slip right onto your elastics to give you multiple functions in your planner! Tab stickers are a great way to flip to the section you visit often. Pens that match your planner are available to add a pretty pop. Now the fun begins! Happy Planning! The great thing about a Traveler’s Notebook is that you can swap your insert books in and out depending on what you want to plan, track, or carry that day. With elastics, your sheets fits your entire cover so you have more writing space without having a lot of bulk. TulaXii not only provides you with a great website to see the products, it also provides a Planning Expert, our Brand Ambassadors, that can help you decide what to select or answer any planning questions. TulaXii also gives you the opportunity to learn so that you can become an Ambassador yourself! 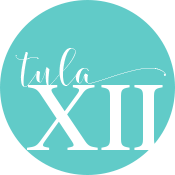 TulaXii puts you in touch with a network of planners so you can share planning information, get new ideas, get information on upcoming planning events and/or conferences.